Have you noticed a change in your child's mood or behavior? Is your family struggling to connect or communicate effectively? Are you looking to get to know yourself better and/or get support in making life choices? Family Therapy Center of Bethesda helps children, teens, individuals, and families connect, build on strengths, and develop tools and resources to help them live their best lives. All of the therapists at Family Therapy Center of Bethesda are Licensed Marriage and Family Therapists. As such, we take a holistic approach to helping our clients. We also know that traditional talk therapy is not a good fit for everyone, especially children, so our therapists also offer play, art, and sand tray therapy. As therapists, we know that having a strong therapeutic relationship is one of the most important factors in helping you to create the lasting change and growth you are looking for. 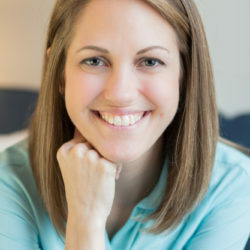 While all of the therapists at FTCB are passionate, experienced, and caring, they each bring their own individual strengths, styles, and techniques to the therapy room. We believe that all of our clients come to therapy with many strengths and assets. Our job as therapists is to help our clients recognize those strengths and build on them, whether individually or relationally. We also believe that our clients are experts of their own lives and our role is to provide a space for our clients to unpack, process and gain insight into their lives as well learn and develop healthy strategies for navigating challenges. We also believe that often times the real work happens between sessions and so we encourage our clients to be active participants in the therapeutic process by practicing skills between sessions.